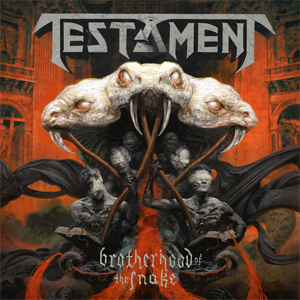 TESTAMENT Release 360º Visualizer For "Stronghold"
Legendary bay area thrash metal giants TESTAMENT, will release their 11th album, Brotherhood Of The Snake on October 28, 2016 via Nuclear Blast. Today, the band has released an interactive 360º visualizer for the brand new track, "Stronghold", and you can check it out below. Pre-order the album today digitally via iTunes or Amazon and receive "Stronghold" and the title-track as an instant download. Various physical formats (Digibook, Limited Box Set, Limited Mailorder Box Set, Vinyl) are also available from Nuclear Blast HERE.